There are babies coming soon. Four to be exact. 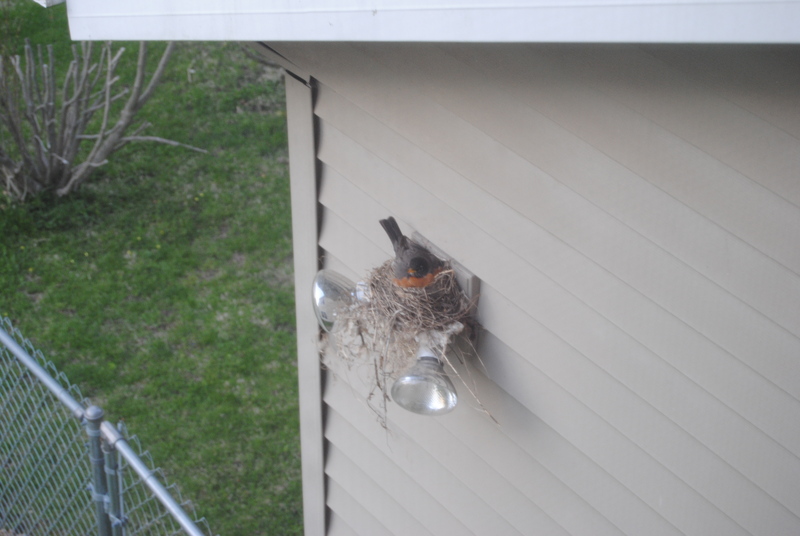 A momma robin built her nest on the flood light outside our garage door. 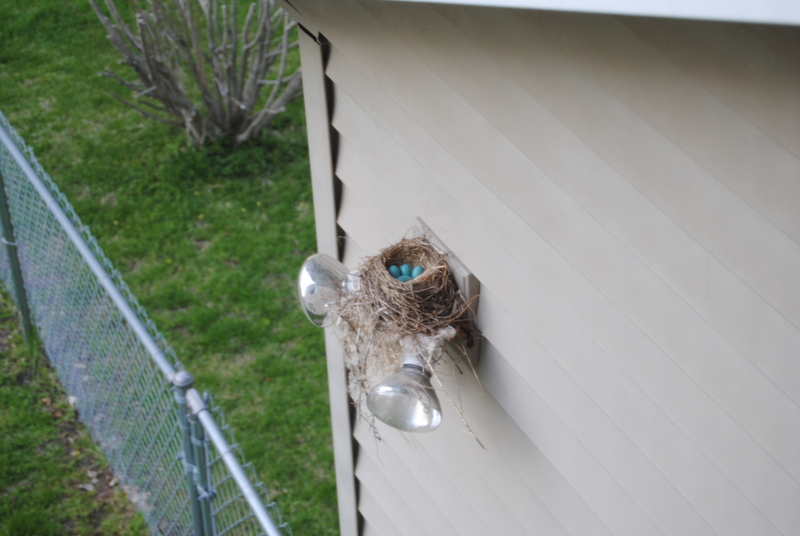 We have a great view of the nest and eggs from Lili’s bedroom, so we’re all watching and waiting for the babies to appear. Mommy robin is taking good care of them. She isn’t even bothered by Naomi knocking on the window several times a day to get her attention. Stay tuned for the official birth announcement.